Bio: As a small child growing up in Sparta, Michigan, Rick Stevens used to watch his father paint evocative landscapes that reflected the beauty of woods, rivers, and wildlife. Inspired by that process, Stevens went on to study art at Grand Rapids Community College, Kendall School of Design, and graduated 1982 Aquinas College, Grand Rapids, Michigan with a Bachelor of Fine Arts Degree - but his most intense education was provided by the woods themselves. He has had numerous group and solo exhibitions and awards, and is represented in many corporate and private collections. His work has been featured in a number of art publications, including the Pastel Journal in 2009, (Cosmos of Pattern by Tamara Lenz Muente) and most recently American Art Collector (Endless Possibilities, May 2015, by John O’hern). Subjects : Landscape; abstract. 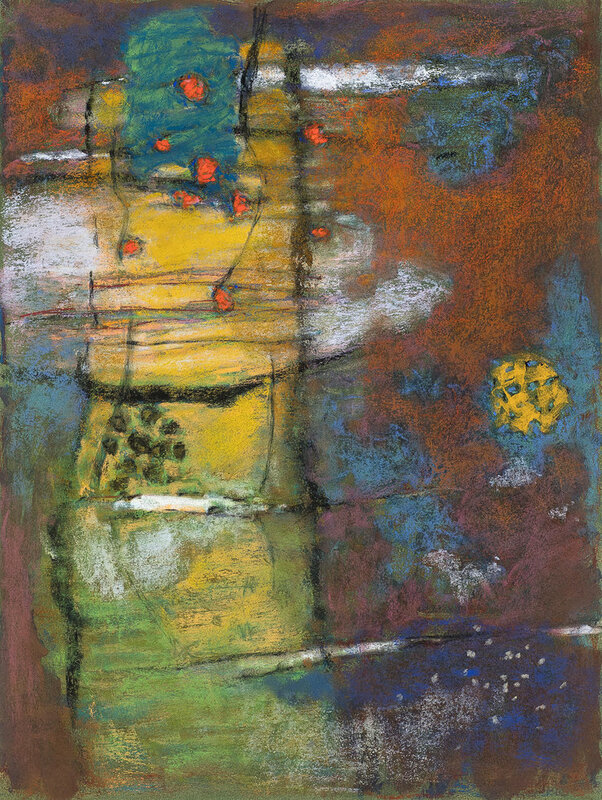 His abstract work reminds me strongly of the paintings of Robert Natkin. Navigation: Main menu remains at side of page. Image View: Large thumbnails enlarge in a viewer and may be scrolled. Details are provided on medium and dimension on mouseover. Saving/downloading is possible, Morning Jewels II is 31 x 32 ins.